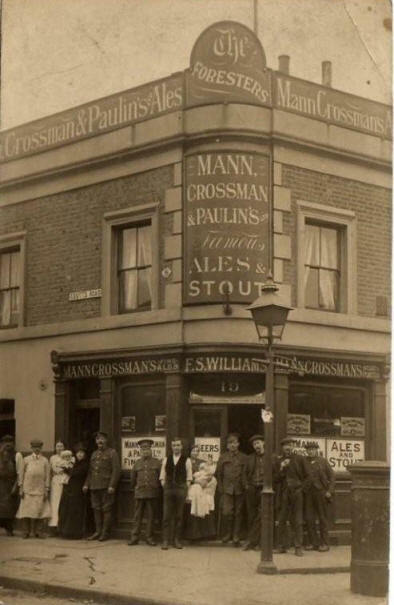 My late Grandmother, Edith, lived with her aunt, Elizabeth Coombes in the pub at 87 Watney Street (Old House at Home); and worked as a barmaid until 1914 when she married my Grandfather, Frank Sheppard Williams who became the keeper of The Foresters beer house at 19 Coutts Road, in Stepney. In 1938, Ernest Fredk Catanach is a Beer Retailer at 24 Yorkton Street, Hackney Road. Ernest Fredk Catanach is at the Off Licence, 494 Old Ford Road by 1964.